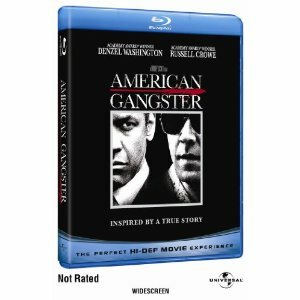 WorldMovieStore - American Gangster Sinopsis. American Gangster gives the story of Frank Lucas (Denzel Washington), a real-life Harlem crime lord who built an empire on Southeast Asian heroin in the 1970s. Running parallel to Lucas's somewhat standard story is the investigation led by a persistent New Jersey cop, Richie Roberts (Russell Crowe). Both Washington and Crowe look pretty brawny here. --Robert Horton. Read More Sinopsis. 0 Response to "Blu-ray Release American Gangster"